Organizations that align day-to-day activities with their vision and mission are the ones that achieve the most success. 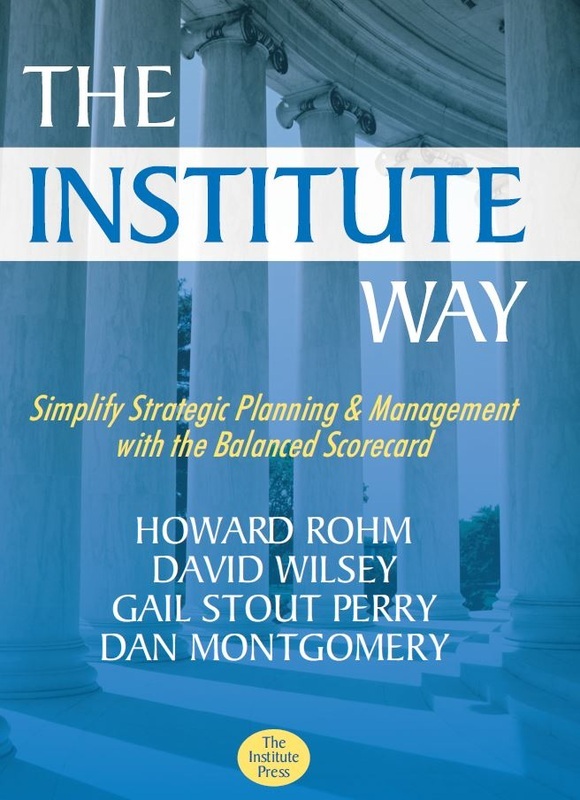 The Institute Way outlines a practical step-by-step process to formulate and execute strategy in business, government and not-for-profit organizations. The book is based on the Balanced Scorecard Institute's 15-year track record of training and certifying professionals and consulting with organizations to build and deploy strategic management systems. The Institute Way details how to manage and adapt to reach a higher level of performance. The Institute's approach blends strategic planning, performance measurement and change management into a simple, disciplined framework that's easy to build and communicate.